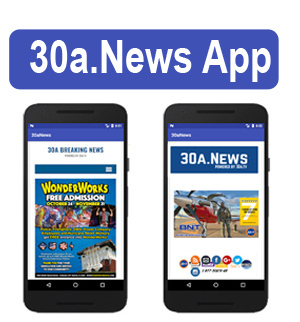 30A Television (www.30a.tv) announces move to The Market Shops at Sandestin. Located in the historic heart of Florida’s Emerald Coast, The Market Shops underwent a complete renovation in the spring of 2014. Known for it for it’s specialty boutiques, unique retailers and variety of eateries from casual to fine, the location is well suited to showcase the television programming. Filming since 2007, 30a Television is a leading provider of original hyperlocal TV programming for NW Florida, dubbed “Information, Entertainment, Beach Style”. Located at the entrance of Sandestin Golf and Beach Resort, The Market Shops is an upscale, neighborhood-style shopping, dining, professional, art, health services, and entertainment center featuring all local brands. After going through a complete renovation in the spring of 2014, The Market Shops has reemerged as the Emerald Coast’s premier location for local and unique retailers, specialty boutiques, signature events and an array of eateries from casual to fine dining. For more information, visit www.themarketshops.com or find The Market Shops on Facebook, Twitter and Instagram.